When you see gopher holes popping up in your yard, you'll want to have one of these on hand. 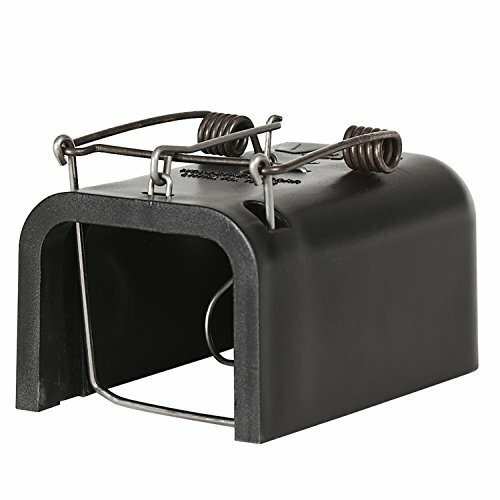 The Victor Black Box Gopher Trap effectively kills gophers without the use of chemicals or poisons. The chocker loop-style trap features weather-resistant plastic and galvanized steel construction for superior strength and durability. Additionally, each trap is easy to use thanks to its EASY-SET design. The trap come fully assembled and with illustrated operating instructions on setting and placement. As the most effective gopher trap on the market, you can rest assured that your yard is safe from the damaging effects of gophers.